Harvest Kitchen was established by Tracy Collins and Pete Little in 2015 with the aim of bringing a relaxed, shared style dining experience to the Barossa. The restaurant is built on a desire to highlight the wonderful produce the region has to offer a dining experience to tourists and locals alike that is both friendly and professional in nature. Tracy is best known for her accomplishments on the 2014 series of Masterchef Australia seeing it all the way to finals week and making it to the top 5. Pete has an extensive background in the hospitality industry and comes with an amazing reputation and unwavering ethos. While in the region Pete has worked as Director of Food and Beverage for luxury Barossa property The Louise and their award winning restaurant Appellation. Pete has also been part of the teams behind pop-up events The Breakfast Rave and Little & Often and has a great love of the wonderful produce the region has to offer. Alex joined the partnership team of Harvest Kitchen in January 2017, having worked as Restaurant Manager from shortly after opening in April 2015. Prior to joining the team, Alex spent 15 years as a chef before graduating with 1st class honours in Hospitality Management. He went on to work in the wine industry, and after becoming an Associate of the Institute of Wine and Spirits, came to the Barossa to pursue a quieter life as a small artisanal winemaker. In between managing Harvest Kitchen, Alex labours away with love on some small batch craft wines. Tracy has now stepped away from the business to focus on studies and family, but her passion and influence are still felt throughout the venue. 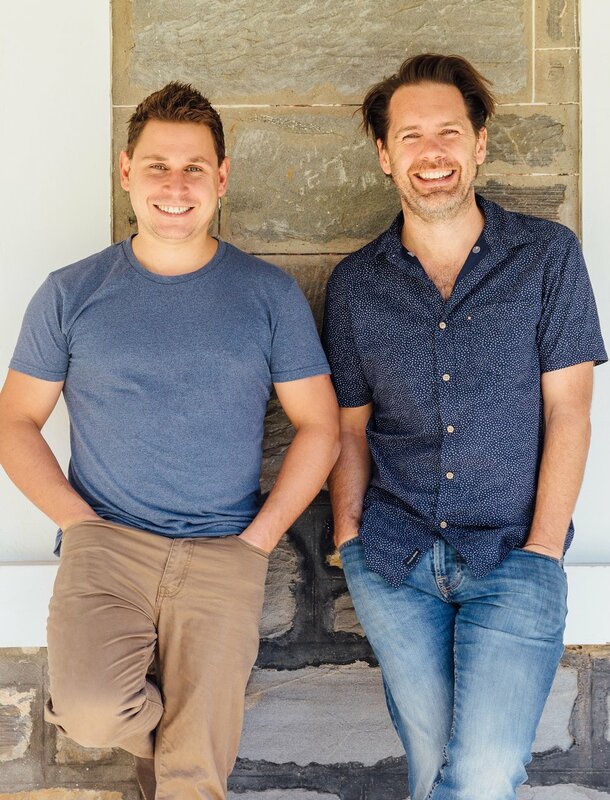 Pete and Alex are now leading the business and are continuing to bring to life Harvest Kitchen’s mantra of delivering Generous, Honest and Flavoursome food that is driven by the seasons and providing an experience that is both friendly and relaxed. Harvest Kitchen is located at Calabria Family Wines and operates for lunch 7 days a week from 11:30 am to 5 pm and for dinner on Friday and Saturday nights from 6:30pm until late.